Trivandrum, 4 October 2012: The Kerala cricket team for the upcoming Ranji trophy season has been announced. 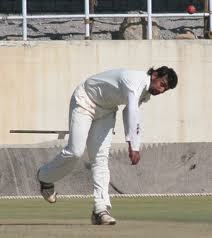 Sony Cheruvathur will lead the Kerala team in the absence of S. Sreesanth. Batsman Sachin Baby has been named as the vice captain. Sony Cheruvathur (Captain) Sachin Baby (Vice Captain), V A Jagadeesh, Abishek Hegde, Akshay Kodoth (wicket Keeper), Sanju Vishwanadh, Rohan Prem, Robert Fernandez, Raiphi Vincent Gomez, Sreejith, S Anish, P Prasanth, Prasanth Parameswaran, Manu Krishnan, Anthaf P U.
Kerala will play four home matches this season at their home venue in Malappuram.